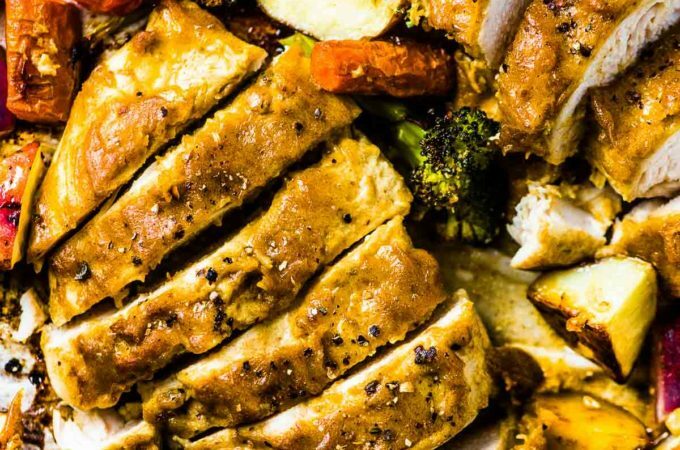 Sheet Pan Honey Mustard Chicken is a super easy to make and healthy weeknight dinner recipe. The faux honey mustard sauce is made with dates rather than honey so it contains no added sweeteners and is Whole30 compliant. It’s a delicious sheet pan recipe!